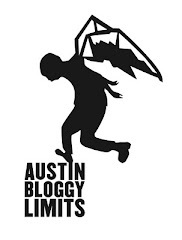 AustinBloggyLimits - An Austin Music Blog: Pomegranates with Oh No! Oh My! Pomegranates with Oh No! Oh My! Hey kids, Saturday night at the Mohawk you've got to catch my favorite Austin band playing with Ohioiansians (<--I made that word up), Pomegranates. Oh No! Oh My! make wonderful indie-pop songs and they have been largely over-looked in Austin's music-scene of late. Pomegranates also make wonderful, clever, jangly, indie-pop that will be tattooed on your brain for days after you see them perform. If you click their name above you can download a bunch of free tunes from that page. Expect to hear some new tunes as they recently released a new album, called One Of Us. Holla! You can pick up a copy of their latest LP, here OR at a local retailer. The show at the 'Hawk Saturday is on the inside stage so it will be a late one, it will also be much warmer than an outside show. It's all ages too, so you can bring your under-aged girlfriend perv. Oh No! Oh My! haven't released any music for the last two years but they are playing lots of tunes from their upcoming LP, People Problems, which is due out next year. Hopefully they'll be making a lot more waves with that release as I think their sound is ridiculously accessible and at least deserves some serious licensing deals. Perhaps we'll hear their tunes featured in an upcoming season of Gossip Girl or something? Here's one of their new(ish) tunes I captured the last time I saw them perform.